One of the places that you will definitely want to consider going when you are visiting Accra, Ghana is the Accra Markola Market. Sure, you can find many different supermarkets in the area and even places to purchase souvenirs in the area, but you'll definitely never find a place quite like this market. You see, this is the place where most Ghanaians actually shop for daily necessities like food, clothing, home appliances and spare parts of any thing except human beings. This is a place that you will find full of activity and self organization as well. You will find that the Accra Markola Market is located right in the heart of Accra, and many actually call it the "heart of this city". it is easy to find and easily accessible from the Accra High Street, Kojo Thompson Road and other major streets in Accra. It is a great place where people from all over Accra and other regions come to purchase the goods they will need for their daily life. Just about anything can be found in this market, from dried fish, vegetables, shoes, live chickens, books, clothing, furniture, and so much more. There is so much to this amazing market place that you may very well find yourself feeling very overwhelmed. 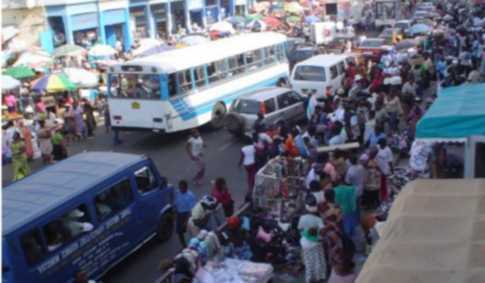 It actually is fairly easy to navigate through the Accra Markola Market, although it may seem a bit difficult at first. You'll find that various types of goods have a different spot in the market. You'll find fruits and vegetables in one section, meats in another, and clothing in yet another location of the market place. You'll find the traditional Kente cloth available in the market, complete with batiks and beads, and this is a great place to stop and have a shirt made for you. not win, but you definitely won't lose on the other hand. You'll love it because this is a "negotiating market", pay the price you want. The Accra Markola Market is exactly what you would think of when you think of a market place. It's loud, full of amazing smells, exotic sights, and so much more. You can even make purchases whiles you wait in traffic from foot vendors scattered everywhere. 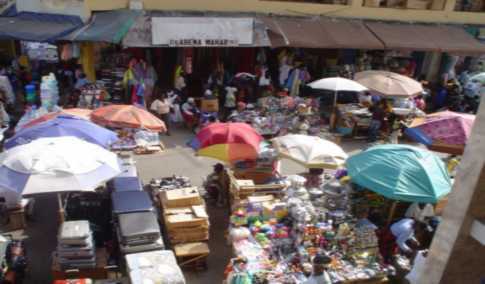 • Okaishie Market; this is an area with drug stores, pharmacy stores and wholesalers. • Opera Square; home of brand new and used electrical fittings, electronic products and tools. • Timber Market; this is the place for hardware including paints, plywood, cement, small machines and all home construction needs. 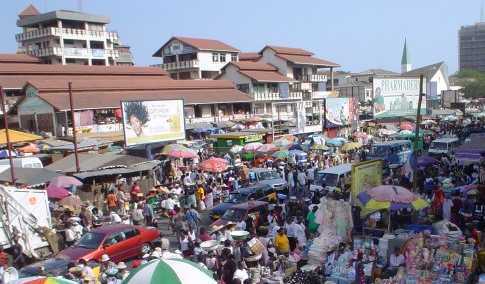 In fact, in the city of Accra, this is probably the most renowned market place in the entire area. You'll find that the market is dominated by traders that are women, and everything from imported foods to medicines, pots and pans, and even tools can be found here. So, if you are in the Accra area, this is one experience you won't want to miss. Take a few cedis with you and hit the marketplace and have the time of your life.